Most people use their laptops in the confines of an office or classroom, but those who brave the elements at work need something more durable. 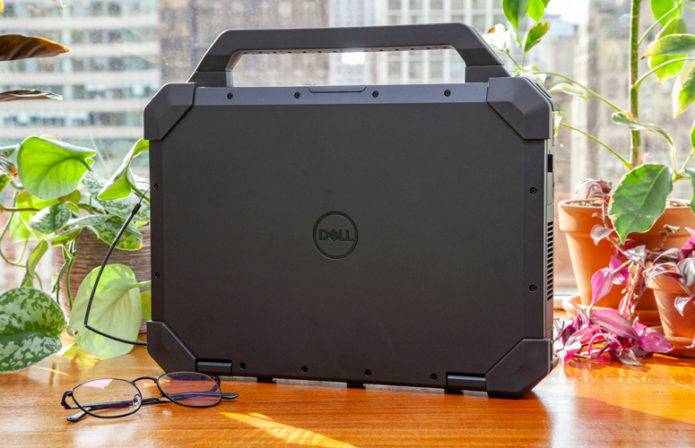 True to its name, the Dell Latitude 7242 Rugged Extreme can survive even the harshest physical stress. This monstrous machine is rated to military-grade durability, which means it can survive a drop, high altitudes, and exposure to sand and dust. Along with its Hulk-like build, the Latitude Extreme ($3,499 starting, $5,123 as tested) has a superbright display that’s great for outdoor use, can last close to two days on a charge (with a second battery) and did an excellent job in our performance tests. It’s just a shame that the Latitude 7424’s touchpad is erratic, because that makes its exorbitant price harder to justify.